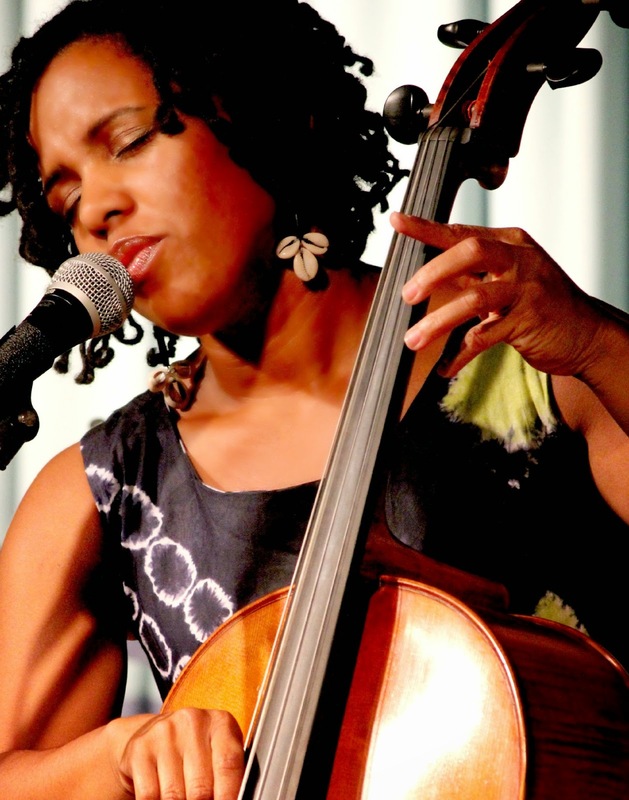 When: Saturday, January 17, 2015 • 8:00 p.m.
Transcending genre distinctions with her fusion of jazz, contemporary folk, and soul, singer/songwriter and cellist Shana Tucker and her band play Diana Wortham Theatre Saturday, January 17 at 8:00 p.m. Her 2011 debut solo recording, SHiNE, and subsequent interview on public radio, grabbed the ear of a Cirque de Soleil producer who quickly invited her to Las Vegas to join the world-class musical ensemble for Cirque du Soleil as cellist and mezzo-soprano for KÀ, the unprecedented, gravity-defying production by Cirque at the MGM Grand. Tucker now balances her indie artist career with her continuing role for Cirque du Soleil, splitting her time between Durham, NC in the east and Las Vegas in the west. Through well-crafted lyrics, subtle, lingering melodies, and compositions that boast a unique, satisfying blend of humor and gravity, Shana Tucker’s music veers from acoustic pop to cabaret jazz to folk and R&B. For her Asheville performance, Tucker performs an eclectic mix of original music, original covers, and jazz standards that span the decades. Joining her on stage is Nick Rosen on piano, Keith Ganz on guitar, Stephen Coffman on drums, and Pete Kimosh on bass. For insight and increased enjoyment, ticket holders may attend a free pre-performance discussion with Shana Tucker and pianist Nick Rosen in The Forum at Diana Wortham Theatre at 7:00pm prior to the 8:00pm performance. Seating is limited and offered on a first come, first served basis. We regret that we may not admit patrons to the discussions after 7:10 p.m.
Shana Tucker’s Asheville performance is made possible by Performance Sponsors Michael & Catty Andry and Carol & Bob Deutsch; and by Mainstage Music Series Sponsors Henry LaBrun, First Citizens Bank, The Omni Grove Park Inn, and Ward and Smith, P.A. ; with additional support from Media Sponsor WNC magazine. The entrance for the Diana Wortham Theatre is marked by the location of the theatre’s marquee between 12 and 14 Biltmore Avenue. Patrons enter the theatre through the breezeway between Marble Slab Creamery and White Duck Taco, and into a large interior courtyard with multiple glass doors to the theatre’s lower lobby and box office. The intimate theatre seats just over 500 and boasts exceptional acoustics and sightlines, making it the premier performance space in Western North Carolina. The Mainstage Series is supported by a grant from the North Carolina Arts Council, a state agency. The Mainstage Series 2014/2015 Season Sponsors are the Asheville Scene, Blue Moon Water, Creative Energy, Laurey’s Catering and Gourmet-to-go, the North Carolina Arts Council, and the Renaissance Asheville Hotel. To obtain more information on the Mainstage Series or to purchase tickets, call the theatre’s box office at (828) 257-4530 or visit www.dwtheatre.com.